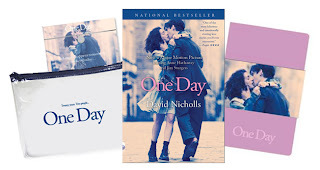 Last year, I reviewed an especially touching novel called ONE DAY by David Nicholls. ONE DAY tells the story of longtime friends, Dexter and Emma. The story takes place are every year on the anniversary of their first night together -- thus the title ONE DAY. The book takes the reader through twenty years of their lives -- showing both the times when they are together as well as the times when they are apart. I just loved it! I am very excited that ONE DAY is hitting theaters in just a few weeks -- August 19th. It stars Anne Hathaway as Emma and Jim Sturgess as Dexter, and I am anxious to see how they portray these characters. I'm not entirely sure that I initially imagined Anne Hathaway as Emma, but the idea has grown on me over the past few months. Needless to say, I can't wait to see the big screen version of this love story! 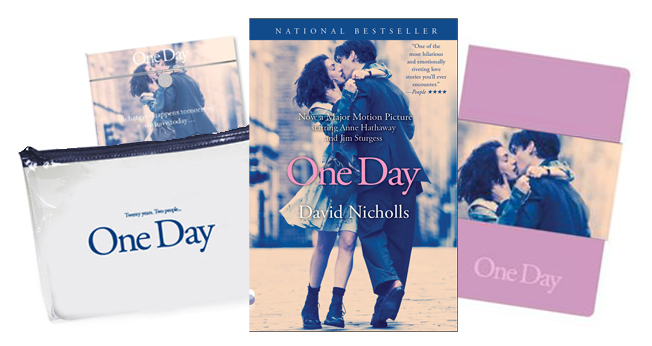 If you'd like to learn more about the film, you can check out the official ONE DAY website as well as the Facebook page. You can also enter the GoodReads "One Day Summer Reads" Sweepstakes here. To enter, just fill out the form below before July 29th at 11:59 p.m. ET. I will randomly select and notify the winners the following day. This contest is open to those of you with U.S. addresses only. Good luck! I just have to get this off my chest. I loved this book. I HATE that book cover. They should have left it alone. I will be seeing this in the theater! Thanks for the giveaway! 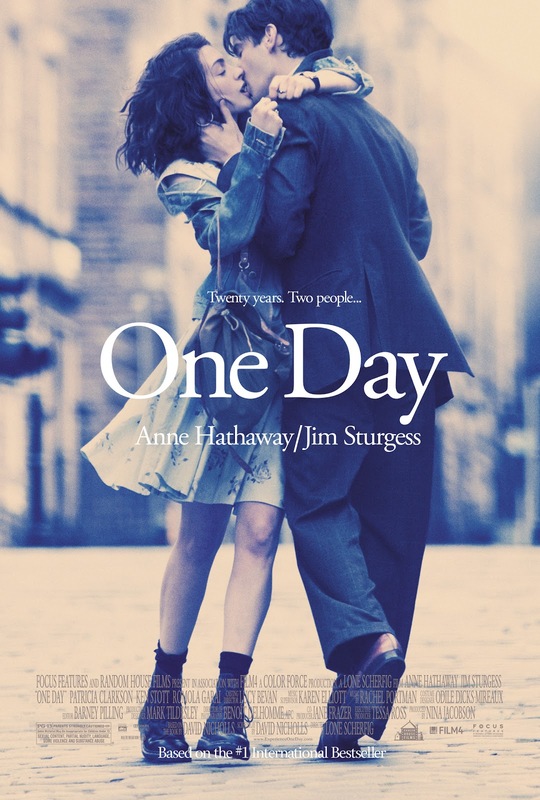 One Day looks like an amazing book.